A CONSULTATION now in progress proposes that BSS requirements for carbon monoxide alarms on boats becomes mandatory. A public consultation on a proposal to introduce mandatory new Boat Safety Scheme (BSS) Requirements for carbon monoxide (CO) alarms on boats has opened and will run to Friday 9th November 2018. 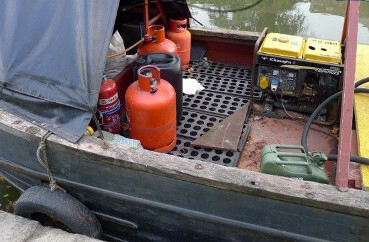 The suggested change sees a fundamental shift recognising that CO poisoning, a silent unseen killer, could affect boat owners and crews from sources of CO generated outside of the boat by others e.g. the use of engines and appliances on adjacent boats. The BSS stakeholder and management committees took account of evidence from the Marine Accident Investigation Branch (MAIB) findings published in May 2017 following the ‘Love For Lydia’ double-fatal tragedy, starkly describing the potential risk posed to other boat users by carbon monoxide-rich engine emissions. The BSS has launched the consultation to keep people in and around boats safe, when the results of further recent testing it had sponsored reinforced findings of the MAIB. The proposed mandatory new BSS Requirements will see checks introduced for suitable CO alarms in good condition and in suitable locations on all classes of boat with accommodation spaces. The additional recognised benefit is the anticipated effectiveness of CO alarms in preventing death or injury to boat owners placed at risk in their own boats from running the boat’s engines or appliances. "I encourage all who may be affected to consider the Scheme’s proposals and comment. "It’s encouraging that so many boat owners already enjoy the protection of CO alarms, however if you haven’t yet got one and we have persuaded you to act now, please take a look at a list of CO alarms recommended as suitable for boats by the manufacturers’ body. "Follow fitting instructions supplied with the alarm, but if these are difficult to meet fully on a boat, then best practice placement guidance can be found in the CO Safety on Boats leaflet. "It is intended that a communications campaign will promote the final agreed changes in very early 2019. The mandatory new BSS Requirements are intended to come into effect from January 2019 and to be implemented as BSS Checks on 1st April 2019."